The 48 year-old joined SARB in 2011, following his position as head of national treasury and as director general. 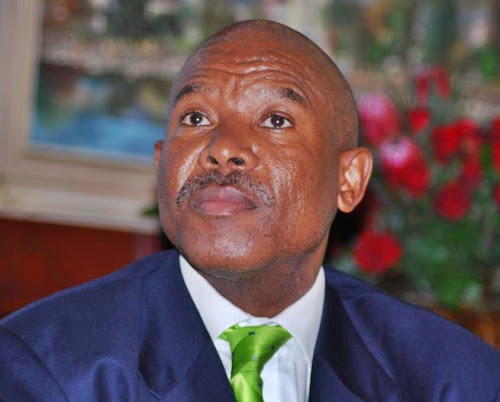 President Jacob Zuma has announced his appointment of Lesetja Kganyago as the new Governor of the South African Reserve Bank (SARB), succeeding Gill Marcus whose term ends in November this year. He has been Deputy Governor of the Reserve Bank for the past three years, sharing the position with Daniel Mminele and Francois Groepe. Many had believed he would succeed former Governor, Tito Mboweni when his term ended in 1999 due to his educational background and expertise. The 48 year-old father and husband joined SARB in 2011, following his position as head of national treasury and as director general. He also spent many years at Cosatu. Born in Alexandra in 1965, the Governor later moved to Polokwane with his mother. Returning to Johannesburg at the age of 18, he enrolled at Wits University where he joined the commerce faculty. “Admittedly, I was very naughty and did not finish,” he confesses. He would later complete his Bachelor of Commerce degree in accounting and economics in 1991 through Unisa and move on to acquire his Master’s degree in economics from the prestigious London School of Economics. Kganyago has also represented South Africa at the World Bank, the International Monetary Fund (IMF), G-20 and the African Development Bank. In addition to his qualifications from Unisa and London School of Economics, he has done training in Finance, Economics and Management through the Wits Business School and Harvard. When he isn’t hard at work, the father of three spends time with his wife and children and taking the occasional hike to a lush mountain top. He also enjoys a good game of golf. Speaking to the press following the president’s announcement of his appointment at the Union Buildings in Pretoria, Kganyago has thanked Zuma and the country for their trust in him: "I've got no doubt that eyes will be on me and I want to say I will not disappoint. I do not take this task for granted. Kganyago will assume his duties as Governor as of November 9 2014.